Our "Fashion Eclipse" grey pearl drop earrings finished in rich rhodium bring elegance with the perfect touch of class to your look! Sterling silver posts. Nickel and lead free jewellery. 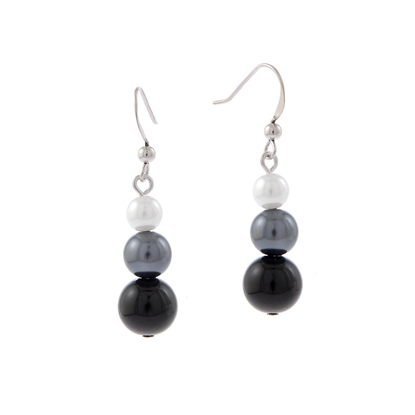 Our "Fashion Eclipse" earrings bring elegance with the perfect touch of class to your look! Flaunting a mesmerizing cascading color pattern these unique pearl earrings finished in rich rhodium are designed to impress! Sterling silver hooks. Nickel and lead free jewellery. 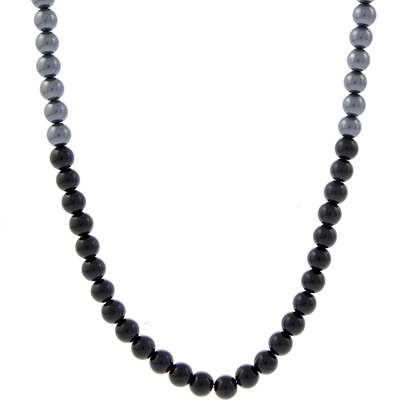 Our "Fashion Eclipse" neckpiece brings elegance with the perfect touch of class to your look! Flaunting rich rhodium finish along with a mesmerizing cascading color pattern, these unique pearls are designed to impress! 26" with 2" extension. Nickel and lead free jewellery.